I've always met my favorite people in the craziest places. I met my husband on a bus! But that's another story for another day, LOL. I have met some really amazing people online since I began this old blog of mine. It's been so wonderful to connect with such interesting people who all quilt, but who are all so different in so many other ways. Her blog 'FunWithBarb' could not be more aptly named. This girl looks like she has fun everywhere she goes. I find that both awesome and inspirational. Check out her post about the new classes and workshops she's offering. I would LOVE to attend one of her classes! When Lori isn't hiking a mountain or running she's doing amazing work for folks in other countries. Her love of people and her passion for adventure make her blog about so much more than quilting. But it's her quilting sew alongs and swaps that are probably my favorite anywhere online. While Bonnie needs no introduction to most anyone in the quilt world, I'm lucky to call her my friend. She's so kind, caring and supportive! She makes me feel important when talk, text or message. She never misses an opportunity to be encouraging. Her kindness means more to me than I can put into words. I do hope I have a visit to her (soon to be) Quiltville Inn in my future! Lori takes her scraps and make rainbow quilts out of them. Her quilts are as bright and beautiful as she is and her hometown of New Orleans is where I grew up! Not to mention, she's got some of the cutest dogs and grand-dogs around. I'm pretty sure Tanya has more hours in her day than the rest of us do. LOL She makes so many amazing quilts and makes it all look so effortless! I'm not sure how she gets it all done but I do know I admire her quilts! Also, she's a new 'empty nester' like me and she knows the struggle. I know she understands. Jackson is the cutest dog ever and his mom Val generously shares him on her blog on a regular basis. Val also shares fun link ups and does eye-spy swaps (still haven't made my eye spy quilt yet!) that are fun to play along with. 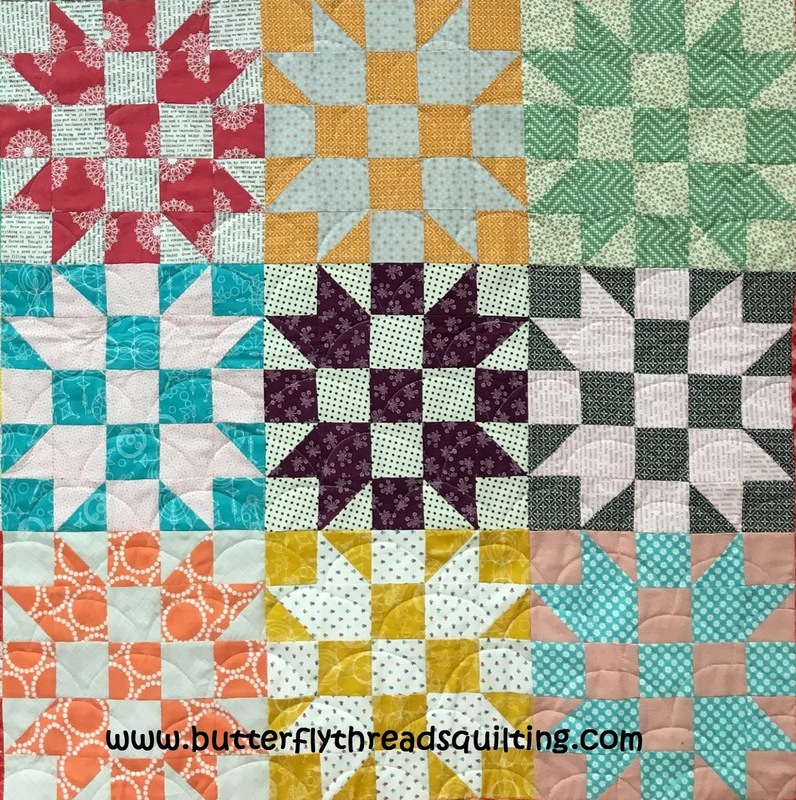 I love her cheerful quilting and can-do attitude! A visit to Kyle's blog is always a fun surprise. She has such a clever way of finding vintage photos to tell her stories and they never fail to make me smile. I love her gardening skills as much as her quilting skills. She manages to make the exquisite look effortless. And she's always got something nice to say! While Cecile lives in France, I was lucky enough to meet her at the Pour L'Amour du Fil quilt show there! She's as sweet and cute as she is kind and generous. Her blog gives little peeks into her charming life in France that I savor each time I visit. I wish everyone could meet Cecile! Cecile brought Corinne along to meet me when we visited in France. I loved her enthusiasm and friendly nature the moment I met her! It's a lot like her blog. She's been busy hosting fun events and giving away some awesome prizes on her blog. She shared lots of photos and stories from her adventures with Tula Pink not long ago. Who knows what she will be up to next!? Rachel's blog and photos are as creative as her quilting and floral designing. She's got a magical touch that infects everything she does. It's so fun to see what she's up to and to follow her quilting adventures. She recently released some patterns and I couldn't purchase them fast enough! I'm lucky to have many more online friends, though some of them are no longer blogging. It always makes going to Houston so much more fun knowing I might bump into them. Sometimes, it's just fun looking for their quilts and visiting their work even if I don't get to see them. Quilting connects us in ways that are far beyond words or stitching. Just think if we weren't quilters, we might never have met? I can't even think about that! Here's hoping our friendships last as long as our quilts do! I enjoyed your list this morning. I like to think I count many of the wonderful women my Quilty friends too. And those that are new to me I hope to include. Thanks for naming me in your list. I appreciate your blogging friendship too. Indeed! We learn so much form our blogging friends. I follow the same inspirational blogs that you do - including yours of course! Thanks for a great post! Thanks for adding me to your list! I love blogging and meeting online or in real life my quilting friends. Are we going to be in Houston at the same time this year? I arrive Sunday the 4th. Thank you so much for adding my name in your list ! I love to read your blog, I am learning something every time I read it ! Meeting quilting friends is fabulous ! Thanks for this list. I've followed the blogs of several of these quilters, but there are a couple I don't recognize right off the bat. thank you! You are so kind too!! I hope I will meet you again!! Love your blog about friends. The header photo caught my eye. A few quilters up North here in Canada are doing a sew along with Sherri Hisey from Border Creek Station. We are sewing the Friendship star, 2 per week for 20 weeks and having a great time doing it. what a nice post! thanks for including me. I feel like I know you through your blog and IG. I sure do hope we'll meet in person one day soon!! I'm off to make sure I follow all of the quilters in this post. Thanks for including me as a quilting friend - the feeling is definitely mutual! I hope we have an opportunity to actually quilt together one day!